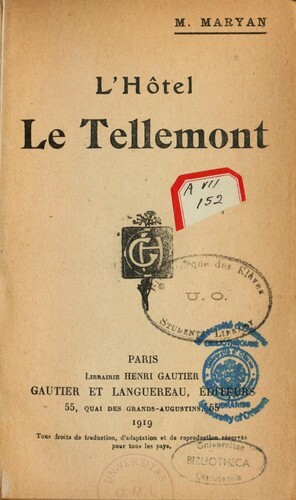 1 edition of L'hôtel Le Tellemont found in the catalog. Add another edition? Published 1919 by Gautier et Languereau in Paris .